Brown sugar is one of my favorite baking ingredients. Everything is way behind chocolate on that list, but brown sugar is pretty close to the top. 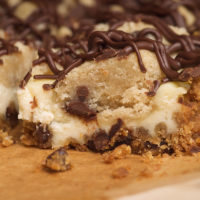 Combine that with how much I like baking bars, and you get these beauties. I’ve lamented before that cashews often get overlooked in baking. (If you agree, check out this or maybe this.) 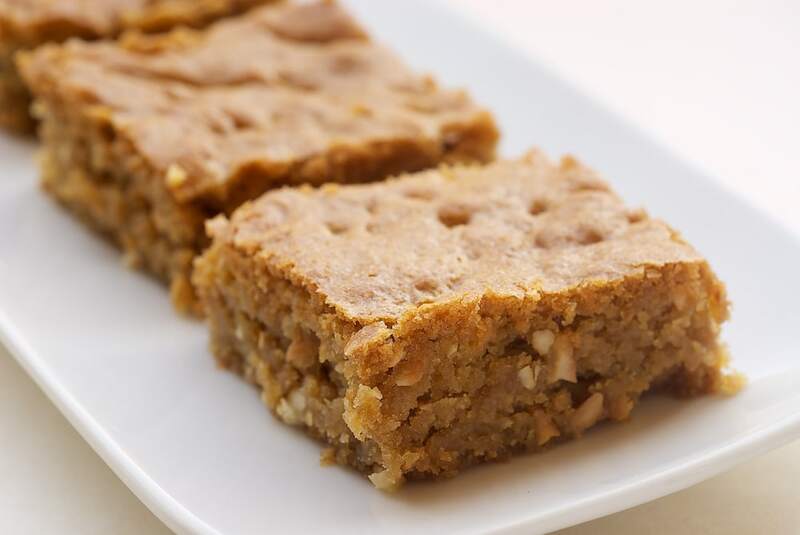 What better complement to all that brown sugar goodness than a big helping of cashews? 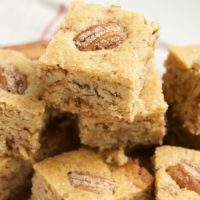 These blondies are bursting with brown sugar, creating a caramel-like flavor that is just fantastic. They’re simple to make and full of flavor. All of that together makes them pretty fabulous in my book. Using an electric mixer on medium speed, beat butter and brown sugar until smooth. Add eggs, one at a time, mixing until combined after each addition. Mix in vanilla. Reduce mixer speed to low and gradually add flour mixture, mixing until combined. Stir in cashews. Spread batter evenly in prepared pan. Bake 35-40 minutes, or until a toothpick inserted in the center comes out with moist crumbs. Cool completely before cutting into bars. *If using salted cashews, you may want to reduce salt to 1/2 teaspoon. 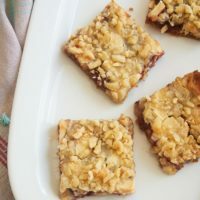 I recently discovered my love for cashews and these bars look like they’ll sufficiently fill my cravings 🙂 I pinned this recipe! Oh WOW!! This combination sounds like a must do for sure 🙂 Delicious! 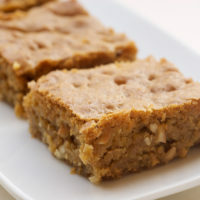 Cashew and brown sugar are made for each other – yum! 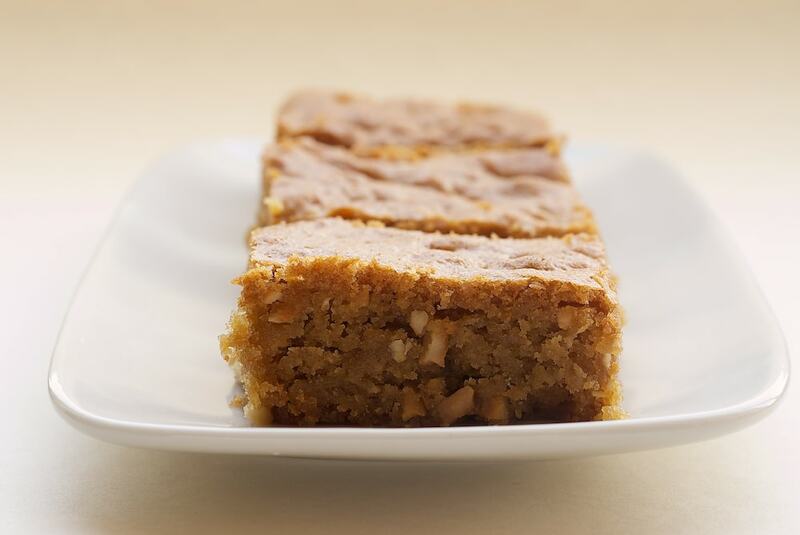 brown sugar and brown butter – both so good! 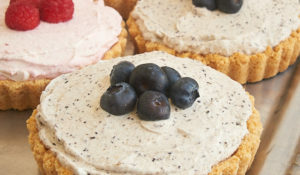 A lot of the dessert catering we have done lately requests that type of item. It’s the nuts and raisins that divide people. Most go without nuts out of consideration to potential allergies, but they seem evenly split on the raisins question. i love the smell of dark brown sugar. i know that sounds odd, but i just love it. Gorgeous! 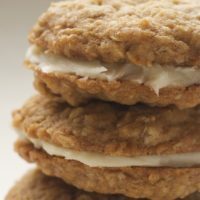 I adore cashews — just recently made cashew and toffee cookies. These are next! 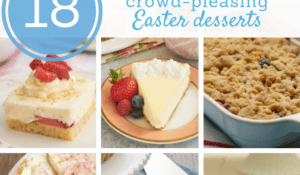 Your recipes and baked goods look delicious. 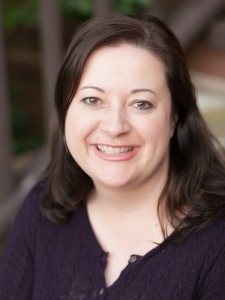 I believe you should have an online bakery…let me know when I can order! I have a question for you on storing brown sugar. Have you ever used one of those little brown clay bears? They are supposed to keep the brown sugar soft. I have never had any luck with that. I have never really had great success with ‘air tight’ containers either. How silly! I just find the best storage for brown sugar to be a large zip lock bag. You do an outstanding job…beautiful…certainly does not appear to be an Amateur at work here! Victoria, as fast as I go through brown sugar, I never really have much need for those things. I keep mine in an airtight container. Ziploc works just as well, as it should be mostly airtight, too. 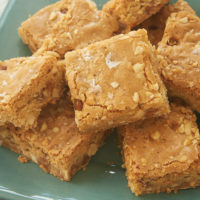 i have a new found love of cashews so must try this recipe, not to mention I am a sucker for blondies! Looks great. Have you tried making your own vanilla? I love cashews, these look amazing. 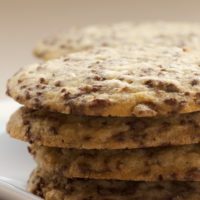 I’ve baked two of your recipes now – this one, in particular, was delicious – but I’ve found that (in two separate ovens) they required significantly longer baking times than you’ve listed. This one took nearly an hour and a half at 350 degrees! In addition, both bar recipes I’ve tried ended up with a caved-in middle. Any ideas? Would more flour or switching to one egg help with this issue? We are at sea level, but perhaps you are in a high-altitude location? Just made these! WOW! Incredible raves and deservedly so! Thank you for the great recipe. Made these and everyone loved them. Chewy with a wonderful flavor. these would also be good with macadamia nuts. I agree with “Kate”; the ones I made caved in, but it didn’t seem to affect the taste. I made these last night and they had a really nice caramel-y flavor. I love how few ingredients they have, and I love cashews! But I had the same issues as Kate here. Mine required about an hour in the oven and were still quite gooey in the middle. I had to put foil around the edges so the corners wouldn’t burn while the middle stayed uncooked. I’d make this again, but maybe spread them thinner or cook them at a higher temperature? Hi! I “liked” your blog just a few days ago and I already have plans to make quite a few things that you’ve posted. I also had a question about brown sugar: Can I use dark instead of light? Where I live I can’t find light brown sugar. Thank you! Hi, Kendall! 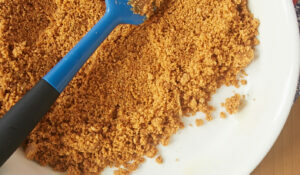 Dark vs. light brown sugar is usually just a flavor preference. You can certainly use dark. Hey there! I made these yesterday for some friends and they were a hit! I used half dark and half light brown sugar. Yes, now I can find the light variety where I live. Superb recipe!